A toddler was taken to hospital amid fears she had swallowed potentially lethal drugs. The youngster’s mother dialled 999 believing her daughter had eaten cocaine. It is understood the woman may have been high on drugs when she contacted the ambulance service. 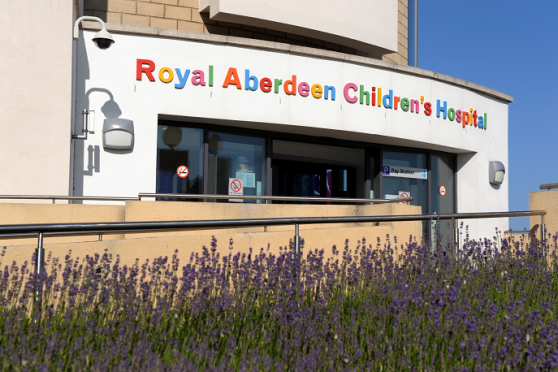 The two-year-old girl was taken to the Royal Aberdeen Children’s Hospital and examined by medics. She was released after they were satisfied she had not swallowed any illegal substances. The Press and Journal understands paramedics and police were both called to a property in the city centre in the early hours of yesterday morning. Officers remained at the address until yesterday afternoon and are believed to have carried out a search of the property. Three people were later detained in connection with suspected drugs offences. Last night, Scottish Labour’s health spokesman and north-east MSP Lewis Macdonald said the incident highlighted the “devastating” impact drugs can have. He said: “An incident like this underlines the risks that go with taking drug. “Illegal drugs are damaging to all sorts of people, but particularly the vulnerable and youngsters – these substances can have devastating consequences. Mr Macdonald’s fellow north-east MSP Ross Thomson called for a thorough investigation into the circumstances of the incident. He said: “First and foremost you think of the welfare of the child and hope that she’s safe and well, as all children should be, especially when they are at home. “Secondly, police need to continue their investigations and I’m sure the other relevant authorities, such as the NHS and the social work department, will do too. “I just hope that lessons are learned from whatever has happened just to ensure that the welfare of children is always protected. Last night, police said they had been called to help paramedics with a “medical matter”. A spokeswoman for the force said: “Police Scotland can confirm that officers were contacted by the Scottish Ambulance Service to assist with a medical matter in the Hutcheon Street area of Aberdeen on August.